DAET, CNORTE--The municipal government here formally opened the Business One Stop Shop (BOSS) at the municipal hall this week. The BOSS, which is an annual event that began in 2001, is an initiative that simplifies the business registration and licensing process. This year, the BOSS is scheduled to be open until January 20, giving ample time for business owners to register their businesses at the legislative building of the municipal hall. Mayor Tito Sarion of the town of Daet explained that the process of registering businesses is expedited by ensuring that the approval of departments or offices involved in issuing or renewing business permits is done within just one area. This, according to the local chief executive, is in compliance with the Anti-Red Tape Act of 2007 under Republic Act 9485. Per the Republic Act, government agencies are encouraged to re-engineer systems and procedures, including time and motion studies, forms, processing time, work flow of transactions, and limit the number of signatures to process the transaction of the client. 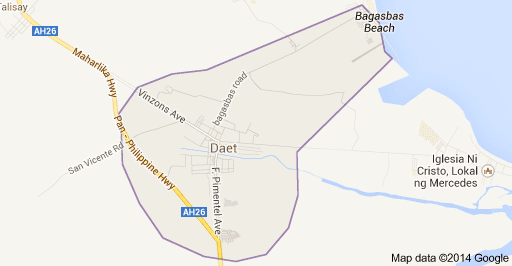 Sarion noted that LGU Daet has been using the the electronic Business Permits and Licensing System (BPLS) since 2011. It was developed through the e-governance project of the League of Municipalities of the Philippines (LMP) and the Department of Trade and Industry (DTI) in cooperation with the Canadian Government. According to Sarion, the system builds a database for each business establishment. It also provides electronic computation of taxes and fees in accordance with the provisions of the Municipal Tax Ordinance. He added that one of the benefits of the BOSS is that it helps the local government unit builds stronger partnerships with the business sector. Every last quarter of the year, business owners, accountants and bookkeepers are called to participate in a forum to discuss issues and concerns on application and renewal of business permits and the licensing process. At the beginning of the year, outstanding business taxpayers are given recognition based on the preceding year's gross income that they reported and the corresponding business tax that they paid. In addition to these efforts, LGU Daet also distributes printed material to business taxpayers that contains the process of receiving business permits as well as details the projects sourced from the tax money collected.